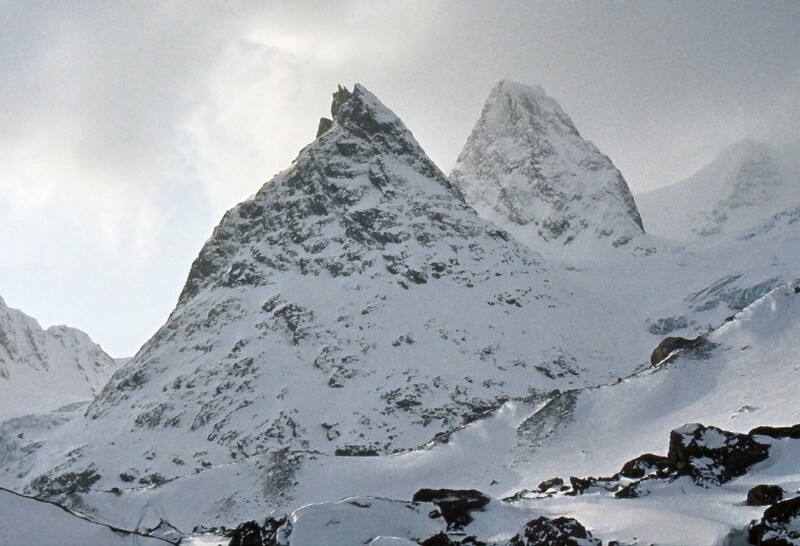 Sagbladet (left) and Goverdalstinden (right) as seen from Goverdalen. 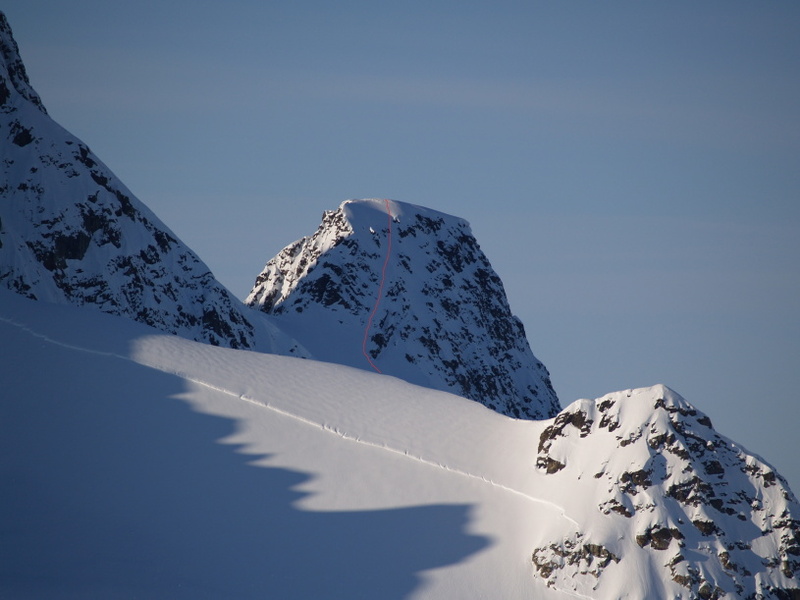 A short description of the East face route: Start from Holmbukta in Sørfjorden. 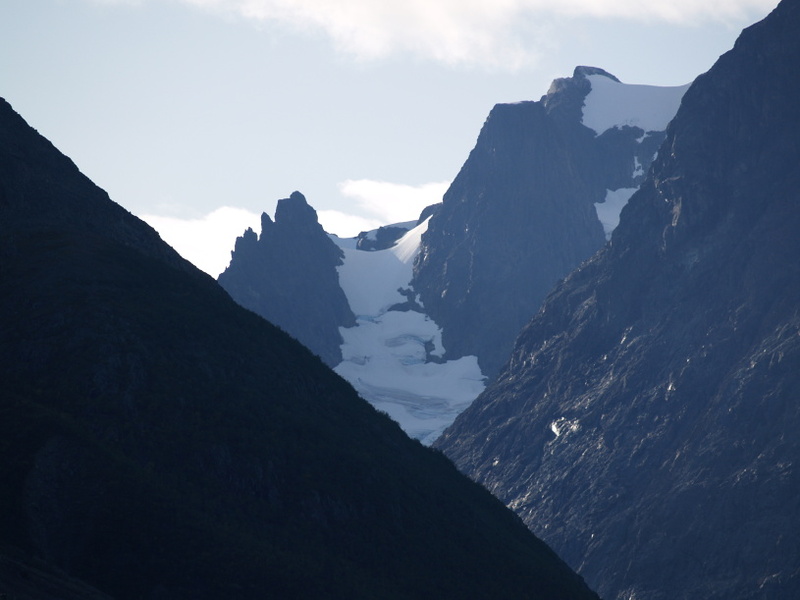 Follow Goverdalen for 5-6 km until you see the glacier Goverdalsbreen to the right. 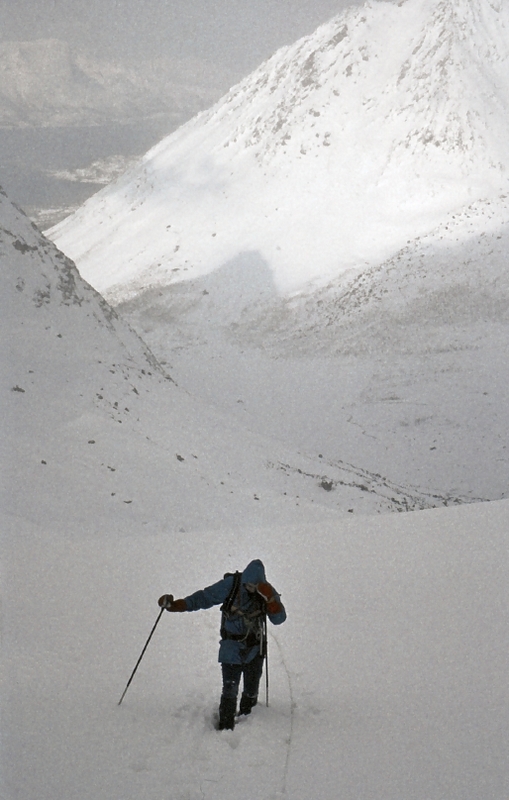 Follow the glacier up to Sølvskaret, the saddle between Sagbladet and Goverdalstinden. 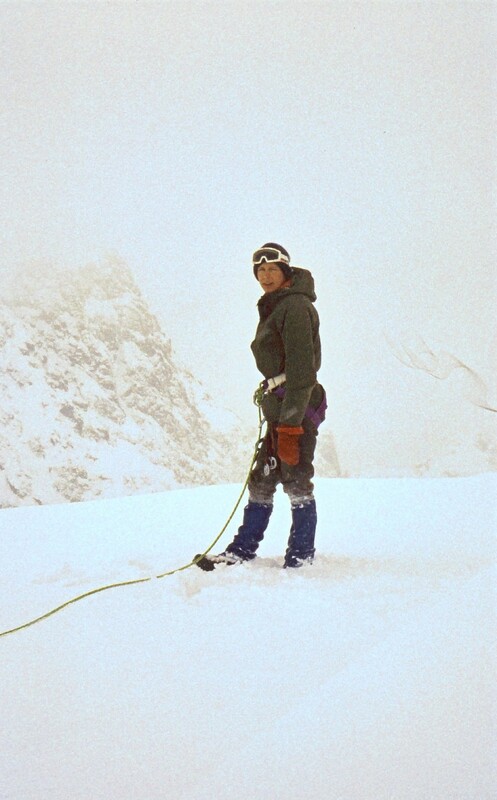 Beware of crevasses! 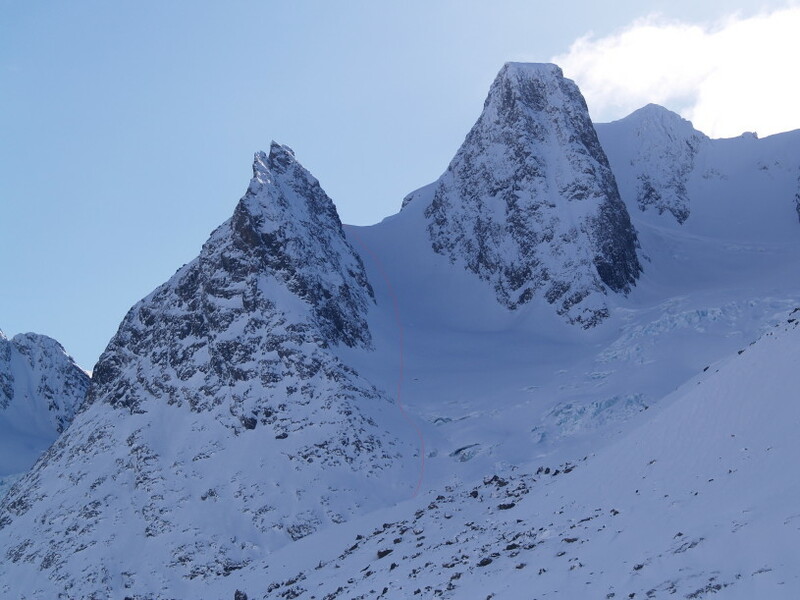 The East face is a straightforward snow climb in winter. Approx. 45° . See picture below. 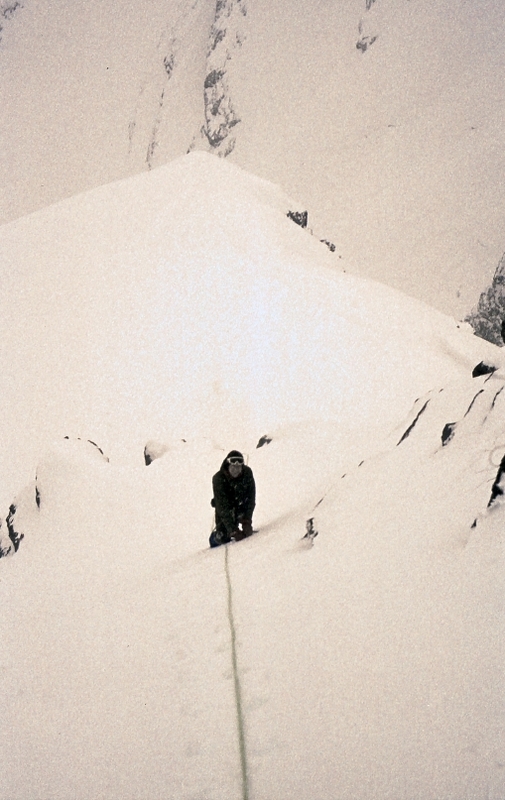 Climbed by Bjørn Arntzen and Geir Jenssen 27. March 1983. Sagbladet (1280) and Goverdalstinden (1429) as seen from Goverdalen. 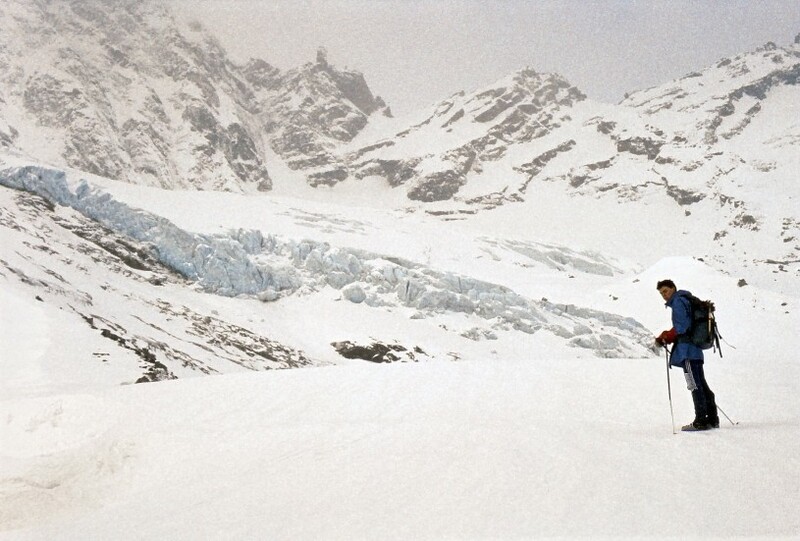 Bjørn Arntzen in front of Goverdalstinden. 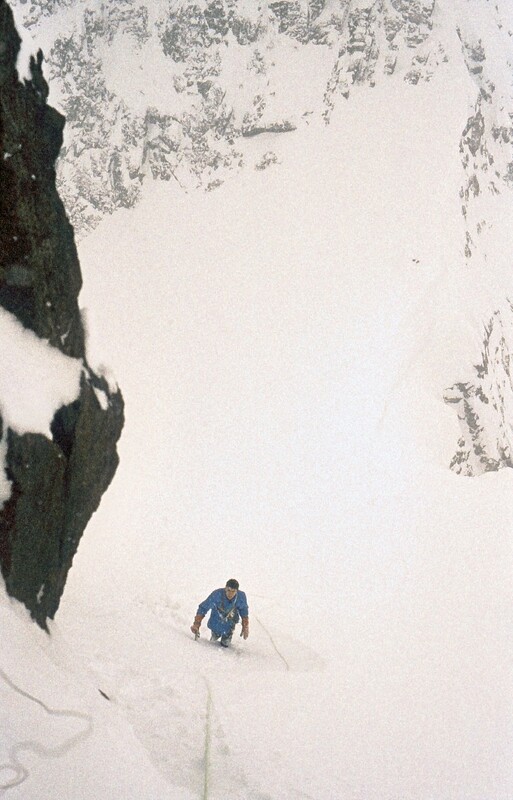 Geir Jenssen on the East face of Goverdalstinden. 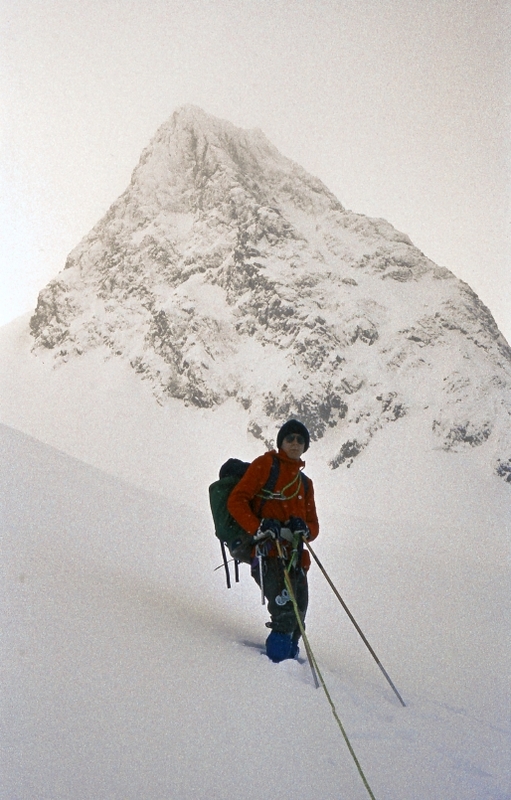 Bjørn Arntzen near the summit of Goverdalstinden. 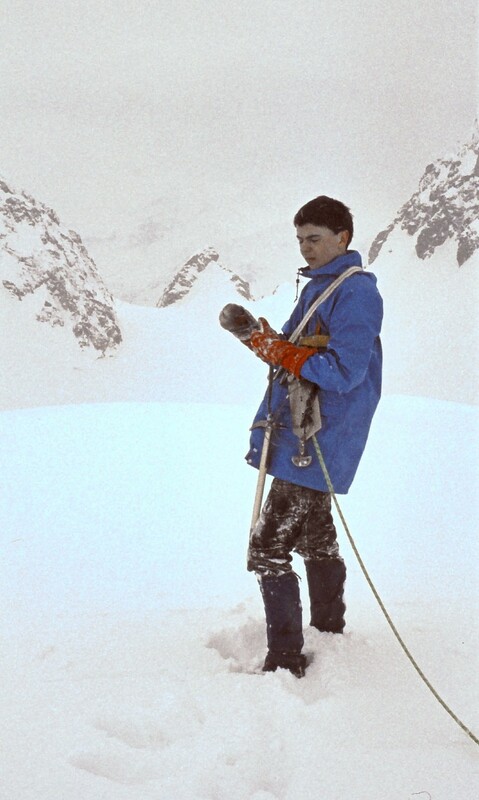 Bjørn Arntzen on the summit of Goverdalstinden. 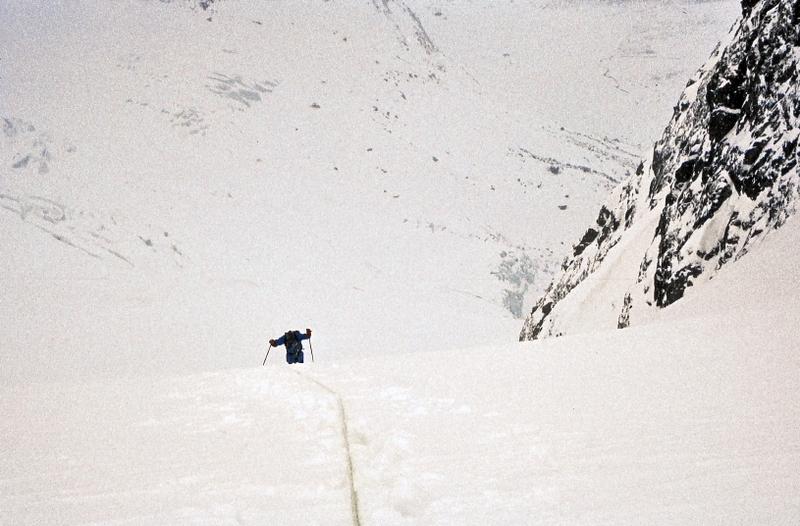 Geir Jenssen on the summit of Goverdalstinden. Sagbladet and Goverdalstinden in summer as seen from Sørfjorden.